Looking for a gift for a toddler? Look no further. 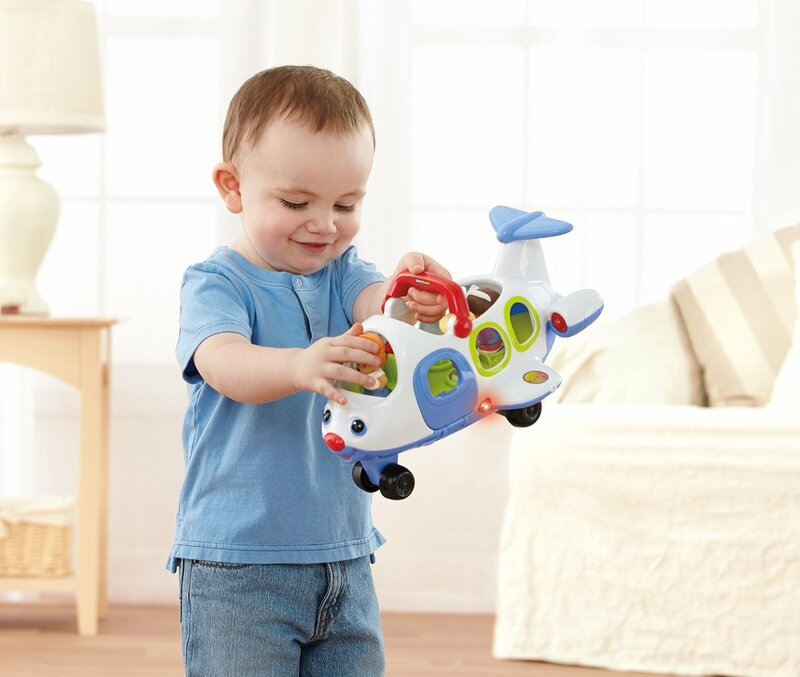 A Fisher Price airplane is the perfect present for any child – boy or girl – between the ages of one year and five. But first – awesome news! It’s almost Prime Day on Amazon! Which means there are TONS of awesome deals going around and you can get Amazon Prime for FREE for one month! That means everything you buy comes with free shipping. As a bonus, you also get unlimited streaming with Prime Video, ad-free music with Prime Music and unlimited photo storage with Prime Photos! Oh, and did I mention early access to the best deals on Amazon? 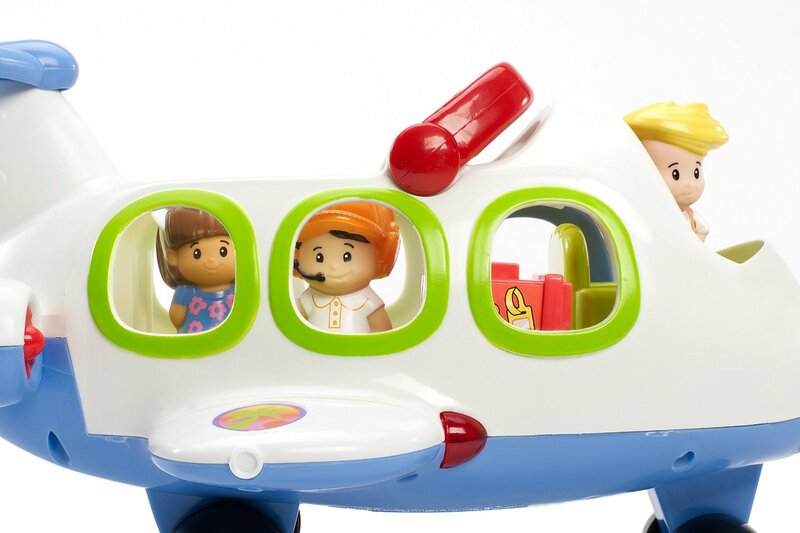 I’ve given this a lot of thought and came up with some great reasons why a Fisher-Price airplane is a great gift for young children, pretty much any year, and any time of year. Don’t need the reasons? Just glad I gave you the idea and you want to be off doing some shopping? Cool beans! Click here and see the full specs and reviews, along with that cool “order” button! Toddlers and young children love vehicles! Cars and trucks are awesome but an airplane? Man, that’s a vehicle with super powers! This airplane is safe for toddlers to play with. That means its flight abilities are hand-powered… In other words, it’s “pretend flight”. Just what a young child needs at this age. At 12.9 x 6.1 x 6.6 inches this Fisher Price airplane is the perfect size for small hands that have yet to master the finesse of advanced motoric skills. Everything is easy to grab, push, put together and pull apart. It weighs a couple of pounds so while a toddler can lift it with ease yet it doesn’t feel too “fragile”. This plane has a bright red handle with which your child can easily lift it in the air. The other colors being white, light blue and green, it’s just the right balance of colorfulness and elegance. Colorful enough to draw any child’s attention but without giving onlookers a headache. The three little people figurines – a pilot and two passengers – have just enough detail while again, not looking or feeling fragile. 3. It has a lot of features which means hours upon hours of varied play time! This Fisher Price airplane can do so much! Your child has plenty of options for interactive playtime. 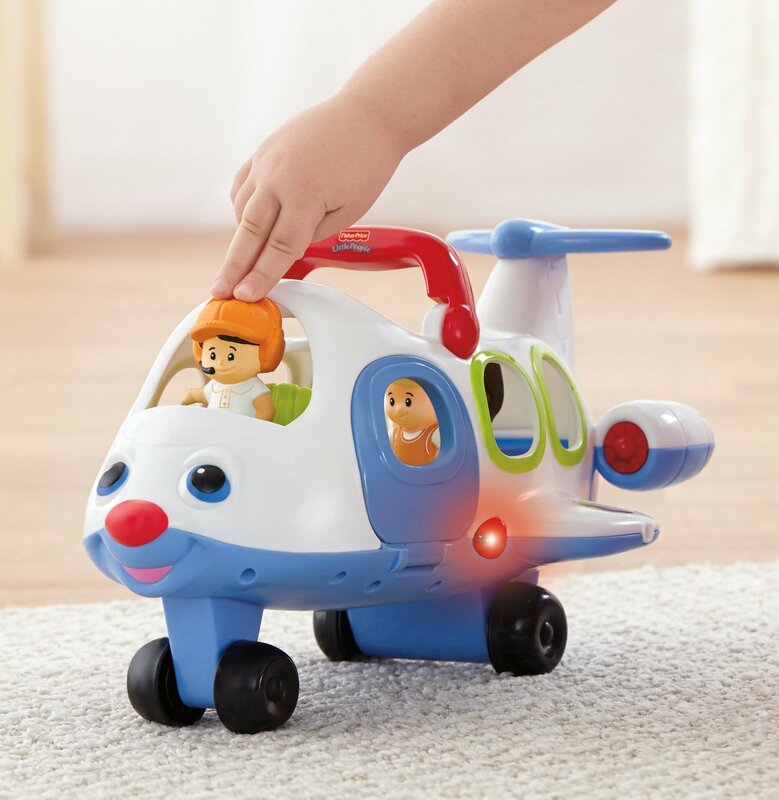 Pushing buttons and inserting the little people makes the plane light up and make sounds: As soon as you put Koby the pilot into his seat, he’ll gladly announce that he’s ready for takeoff! The airplane even plays a song! 4. It’s great for learning about flight and flying. Planning a plane ride anytime soon? This toy is a great way to introduce younger children to a few basic concepts such as pilot, travel, suitcase, flight and airplanes. Kids can play by rolling the airplane on the floor or taking it for safe “flights” indoors, or they can create an entire story using the three little people figurines and their suitcase. It’s going to be so exciting for them when they finally enter a real life size airplane just like their own Fisher Price airplane! 5. It’s a brand you can trust. Fisher Price is a household name across the world. Everyone – young and old – knows this brand. After all, the company was established in New York in back 1930! Like other brands in their league they know what they’re doing and they have a reputation to keep, so you know they’ll stick to quality. This level of quality is just what you want for your child. What’s more, a Fisher Price airplane is not a new concept. In fact, you may have had a very similar one when you were growing up. That’s why they call these kind of toys “classics”. Ahhh…. my favorite part! The raving reviews. 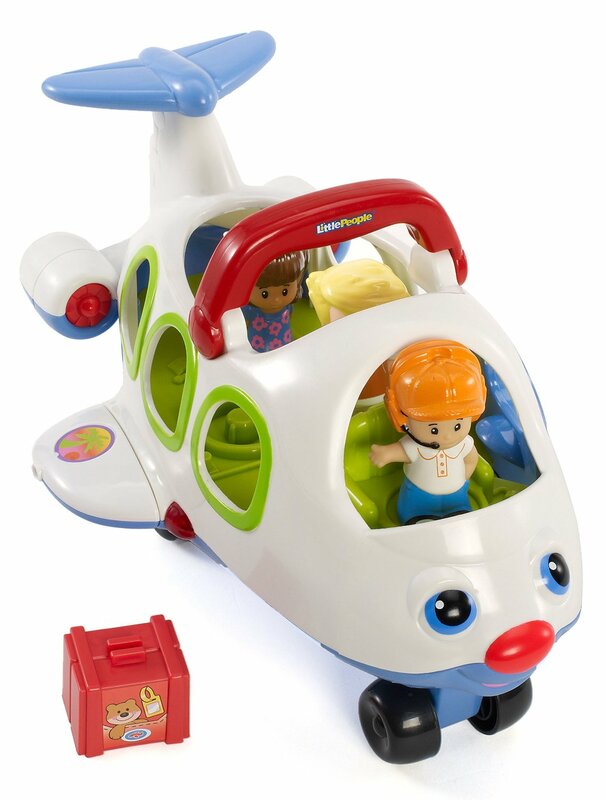 With no fewer than 60 reviews, this Fisher Price airplane gets an average of 4.8 stars out of 5! That’s about as high a score as you can get on Amazon. It’s an awesome score and it means you can order your own knowing that you’ll almost certainly be happy with the product. If you’re not happy, don’t worry. This is Amazon, which means you’ll have no problem sending it back and getting an instant refund. So, if you’re looking for a really awesome gift for a toddler or young child, this one is perfect. You’re just one click away from getting it sent to you. Next Post:A Remote control race car track that’ll get your heart racing!